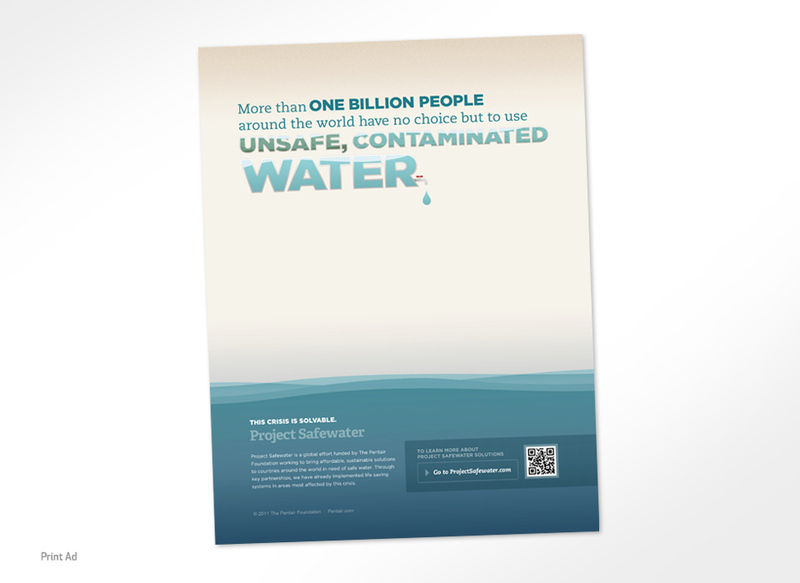 Pentair is a global water, fluid, thermal management, and equipment protection company, from Filtration and Processing to Flow Management, and from Equipment Protection to Thermal Management. 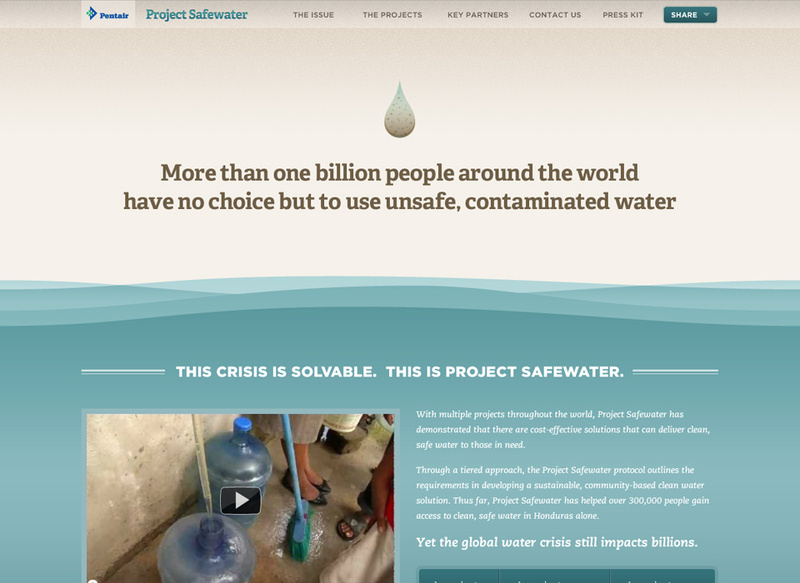 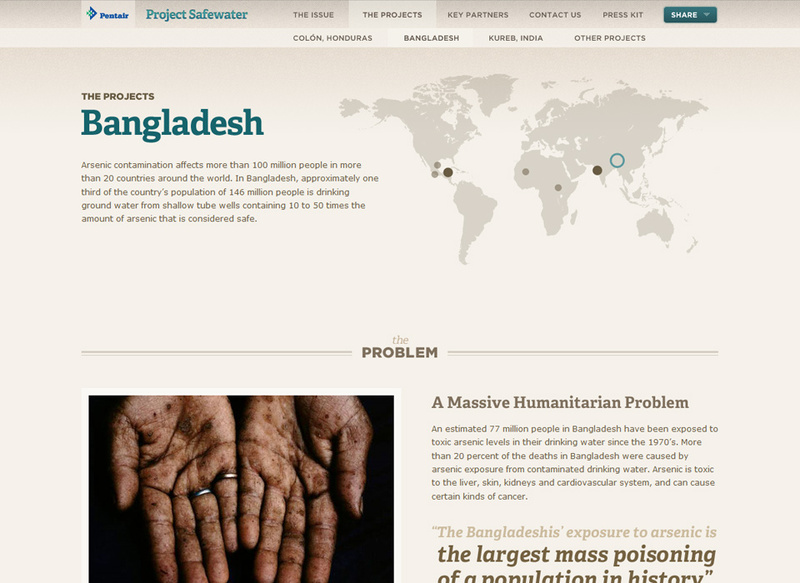 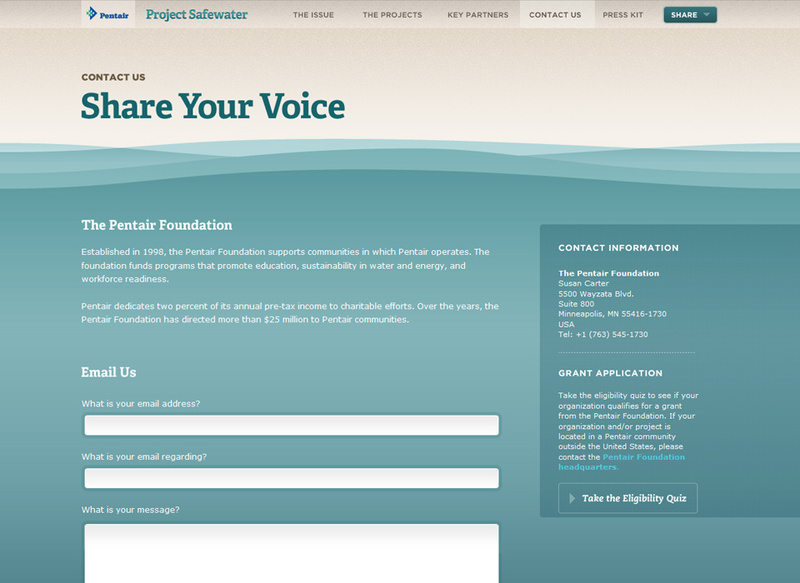 Pentair engaged us to create a website and print advertisement that would bring awareness to Project Safewater, a project developed by Pentair that has demonstrated there are cost-effective solutions that can deliver clean, safe water to those in need. 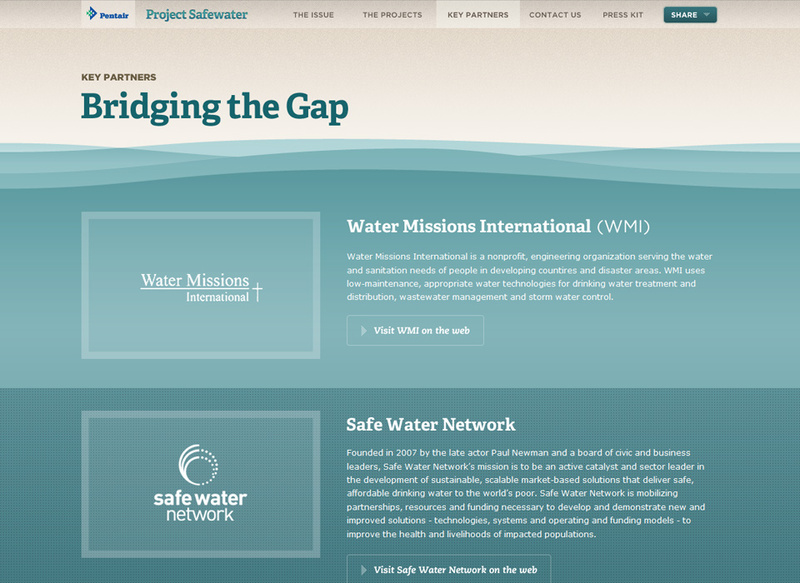 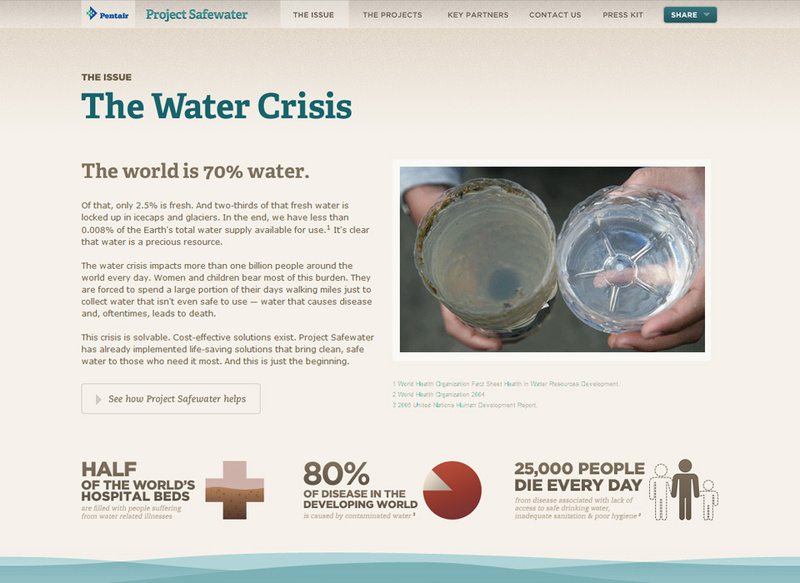 The website includes videos and infographics that help illustrate the importance of the project.